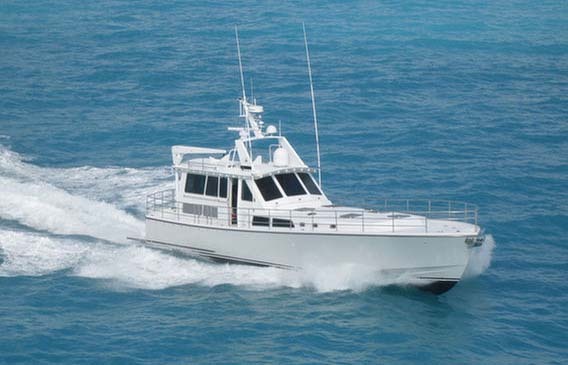 Computer aided-design, Hydrodynamic and Hydrostatic Analysis, conducted by the designer Iver Franzen and Compass Rose Yachts LLC have led to this unique hull design. Extensive tank-testing and prolonged seatrials have proven the maneuverability and sea-keeping ability of this vessel to be outstanding. 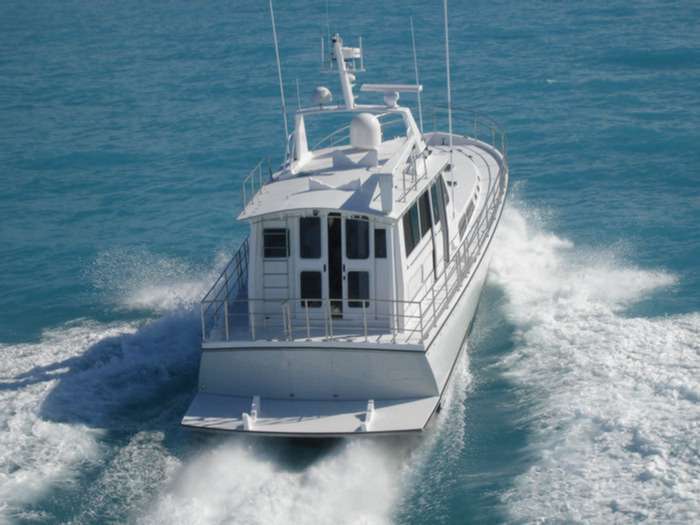 This yacht is stabilized by a new gyro and computer controlled Dynamic Ride Control System by Island Engineering Inc. that smoothes out the ride. This incredible system must be experienced to believe how well it works.